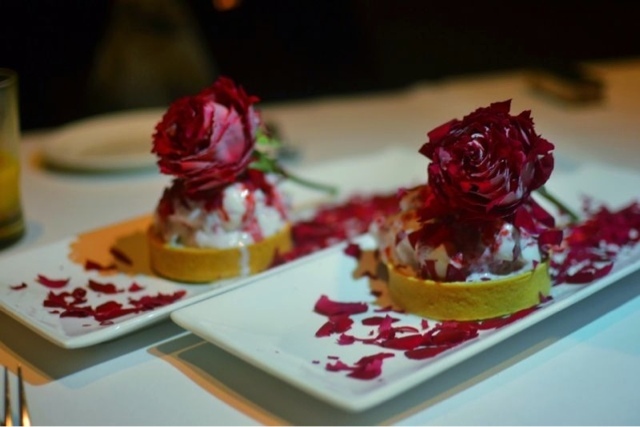 Raspberries and Roses at Ava – Christing C.
I am a girly girl in most ways, but my lack of sweet tooth always baffles most. The truth is I usually prefer a big juicy burger over rich chocolate cake, so when I discovered my favourite dessert of all time tonight I couldn’t wait to share. 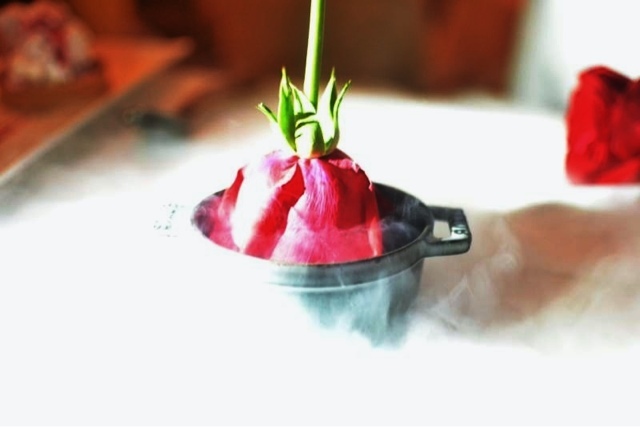 It’s Ava‘s Raspberry and Rose Petal ice cream made and served table side utilizing liquid nitrogen and fresh roses and raspberries. 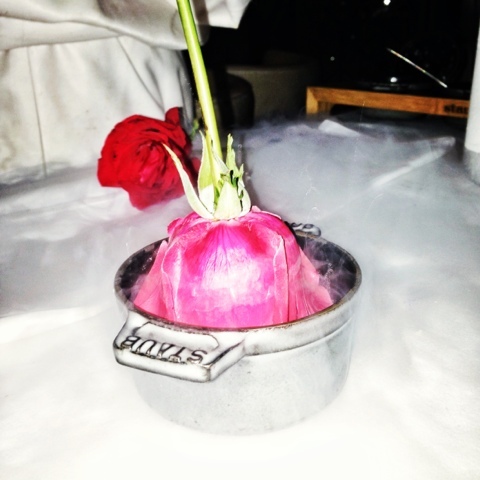 Most definitely the most romantic dish I have ever witnessed. 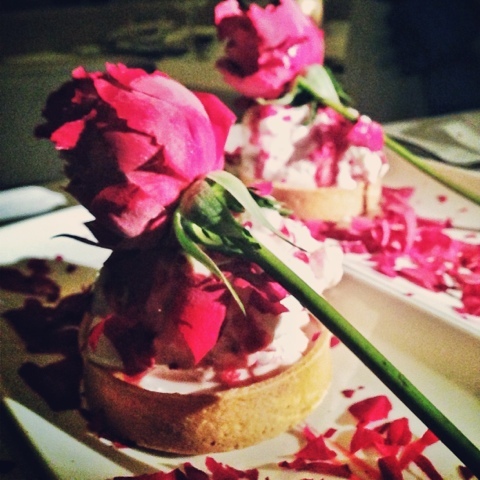 The fragrance of fresh rose petals mingled with tart raspberry is impossible to resist. 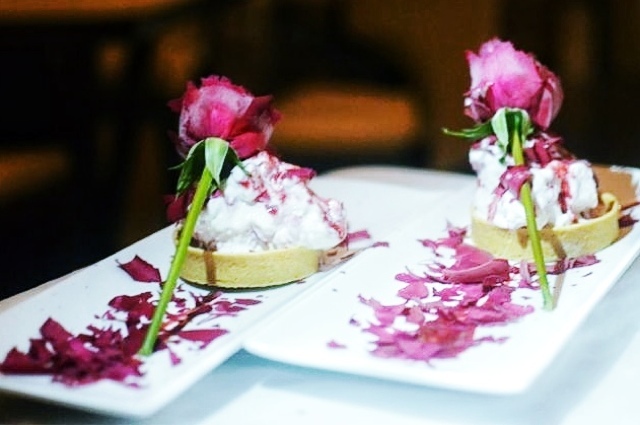 Ava is serving a special Valentine’s Day menu for the entire month of February, so if you are looking for a romantic setting, harbour views, and food that isn’t just tasty but also pretty you should check out Ava. Love at first sight.